Come up with an original idea for a board game. It must have a clear objective to win and contain cards, player pieces, dice, a board, rules, and a box to contain all the components. The idea of Hex was to create a color trivia game sponsored by Milton Bradley. Correct answers allow the players to advance, similar to Chinese Checkers. 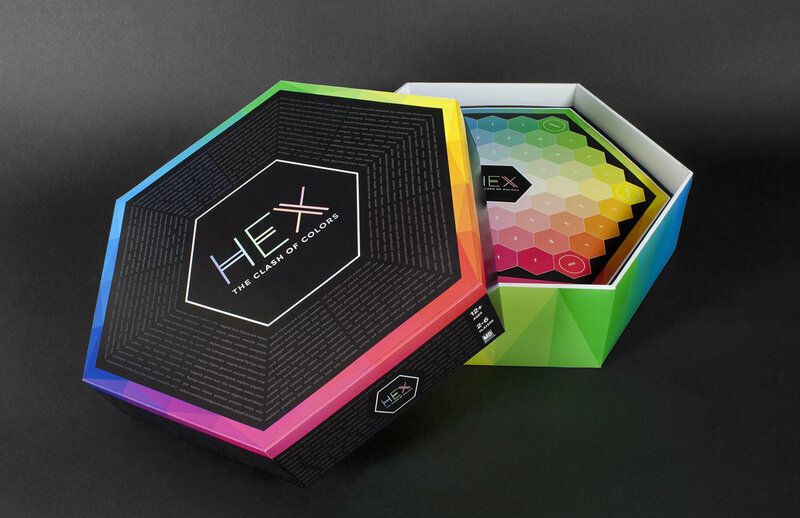 Hex is a game that allows designers to compete with each other based on strategy and color knowledge. The theme has a focus on minimalism and puts the attention on the different colors of the spectrum as a nod to the HEX color wheel.